This recipe was sent to me by my friend Siva. Few days ago, while chatting with him, he mentioned that his friend had made a egg dish which he really liked. He also said I can try it out and post on the blog if I liked it. Then he also emailed the recipe to me. Since V and I both really like any dish made with eggs, I gave it a try. 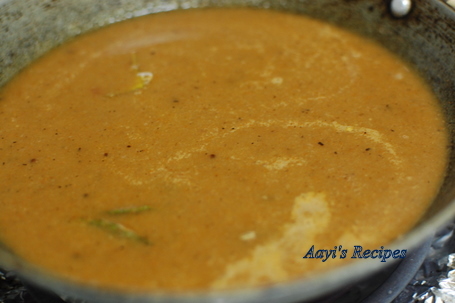 I made some simple changes like including curry leaves, ginger-garlic and adding chopped onions to make the gravy a little thicker. Boil eggs and remove the shells. Put some deep slits on the egg. 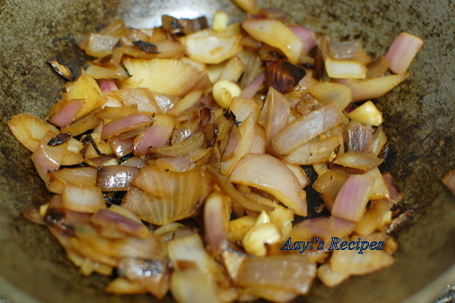 Heat oil and fry 1 cup onion, ginger, garlic till they turn brownish. Make a smooth paste. 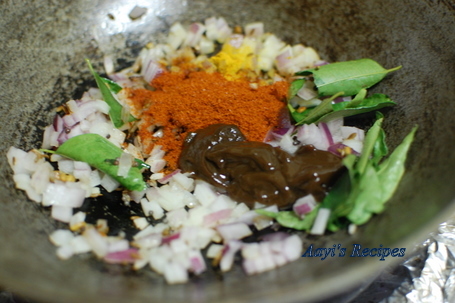 Heat a little oil and add mustard seeds, cumin seeds, methi seeds. 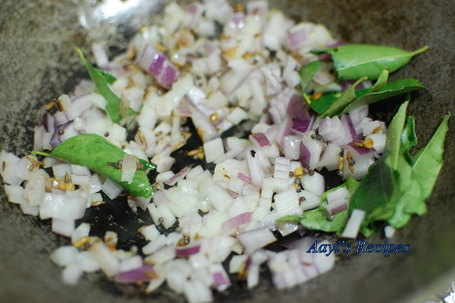 When they start popping, add curry leaves, remaining onion. Fry for few minutes. 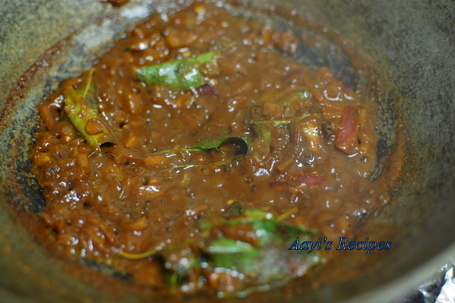 Add turmeric, chilli powder, tamarind, 1/4 cup water and cook till the mixture thickens. 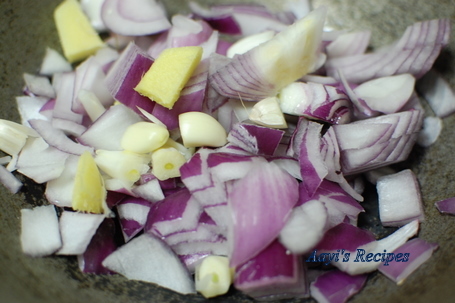 Now add onion paste, salt and enough water to make it gravy consistency. Slowly slide the eggs into the gravy. Let it cook for about 10mins. Lovely one.Will try it soon. So simple, and it looks delicious. I am bookmarking this! My family loves eggs in all forms. Thanks for one more recipe. Aweso0me one will def try it out!! 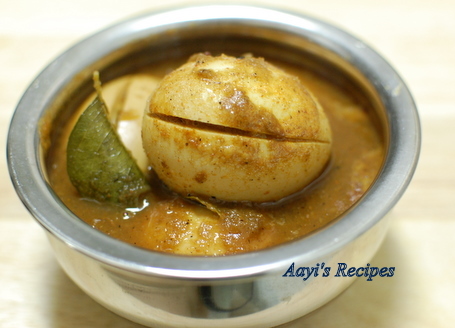 We love egg based dishes in our home too. 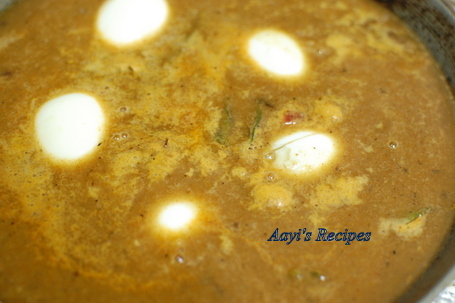 Egg pulusu looks delicious. Made this yesterday.. turned out great! i tried your egg receipe and it turned out very good. only thing is the quantity if tamring is little bit more…. i tried with half the quantity mentioned. 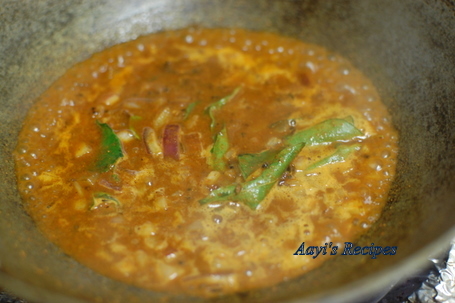 very nice recipes Shilpa , its the first time i came across this blog and loved it . thanks for sharing , keep up the good work ! wow! i was exactly looking for this.I love your blog.Its simply awesome with pics and simple and clear instructions.Great job. Yummy recipe. 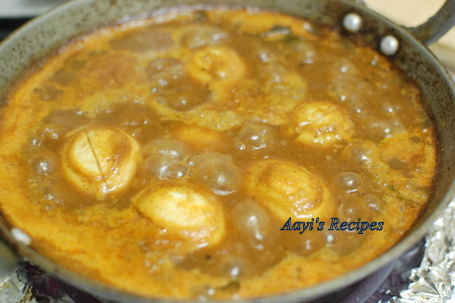 I just got bored with the normal egg masala recipes and was looking for some recipe wzout too much masala and stumbled upon this. Loved the tangy taste of the gravy..
if we want to make the same gravey with vegitables,than witch vegitable will be the best substite? I love this dish will surely try it do you think coconut will taste good with this…. I think it will be good even with coconut. this is a really good site…very easy an inteestin ecipes…. I have been an ardent follower of your blogs especially cooking blogs. When in dilema what to cook, i go through your receipes. god bless u keep posting such nice receipes with a touch of south indian as i happen to be from kerala and my husband from mangalore but settled in mumbai. your receipe just fits into our family taste. Thanks Shilpa 🙂 I did not know V loves eggs 🙂 what about I? Little dude has phases – he went from totally loving eggs to, hating eggs! I am hoping he will start loving them again soon.